kikki k | Matilde learns beauty. Happy New Year you beautiful people!! How amazing is 2014 going to be? Uhh, freaking amazing! I can officially say I’m getting married this year.. Slightly terrifying. In a good way, of course. Really, it is only 4 months away… Writing it seems much more real than just saying it. 2013 will be hard to top, but I think 2014 will give it a damn good run for its money. A belated Merry Whatever you celebrate 🙂 were you lavished in family, food and presents? James definitely made me feel like all my dreams could come true. Other than my beautiful bag (that James picked, may I add) I got some gorgeous Essie nail polishes, chocolate and a Camp Takota pack which will be arriving soon. Back to the bag. My oh so fabulous bag. Brand – Ooh La La. I think it may look fuller than it is. Or maybe not. Shall we start with the most important pouch in my bag? 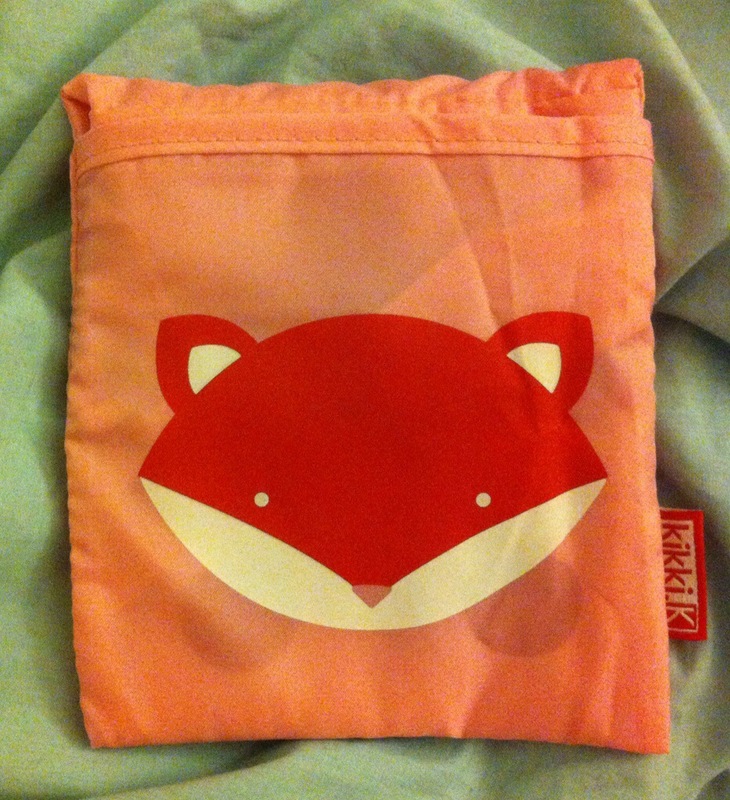 My makeup pouch. This gorgeous little dotty thing was from Daiso. If you’re unsure of what Daiso is, I feel sorry for you. Daiso is a cute little Japanese shop where everything is $2.80. EVERYTHING. 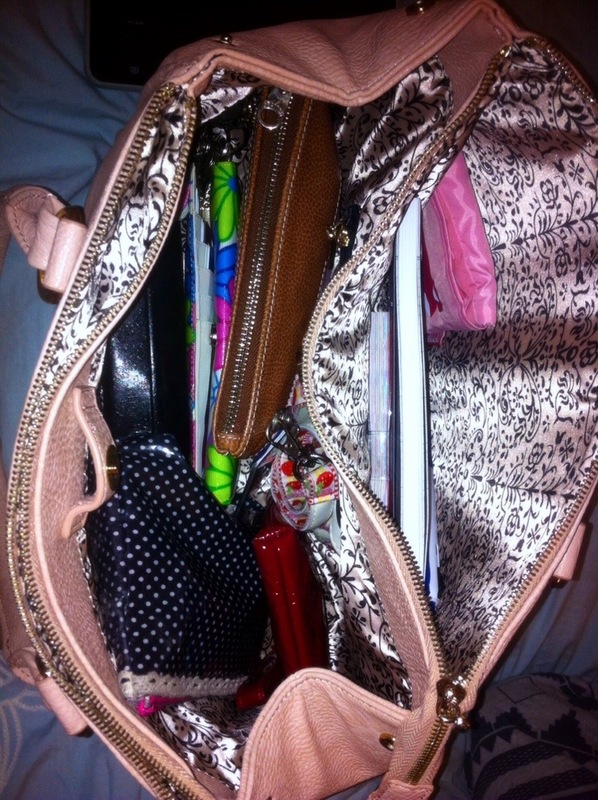 I mainly keep my essential makeup items, bits and pieces and lady things in here. My lip products rotate and if I know I’m going out or need to look extra pretty, I chuck in an eyeliner, eyeshadow and mascara. Next is my essentials pack. 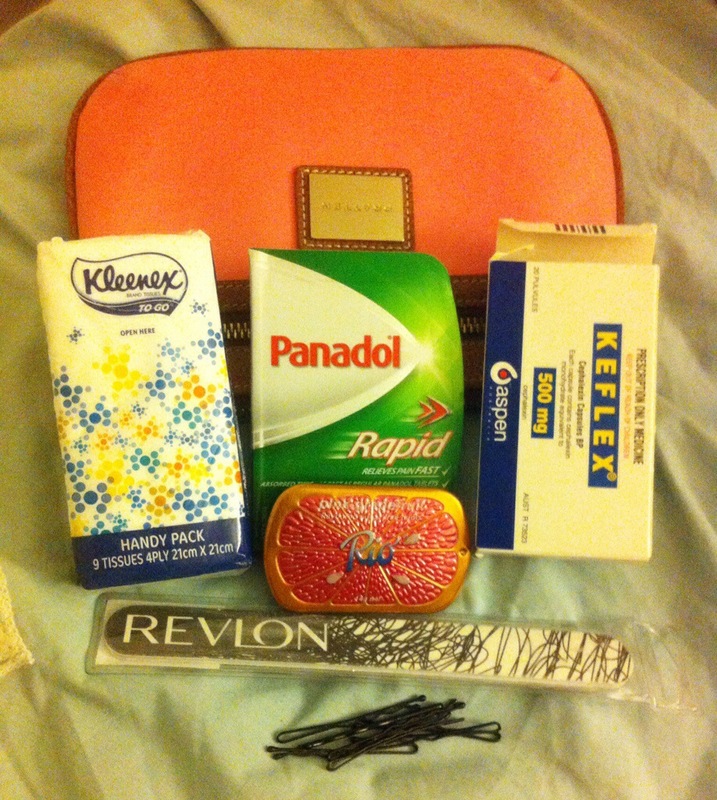 Tablets, tissues, nail file, bobby pins. If ever there is an issue, it’s fixed with a tissue. Or a bobby pin. And if that doesn’t work, pain killers will stop the brain hurt. 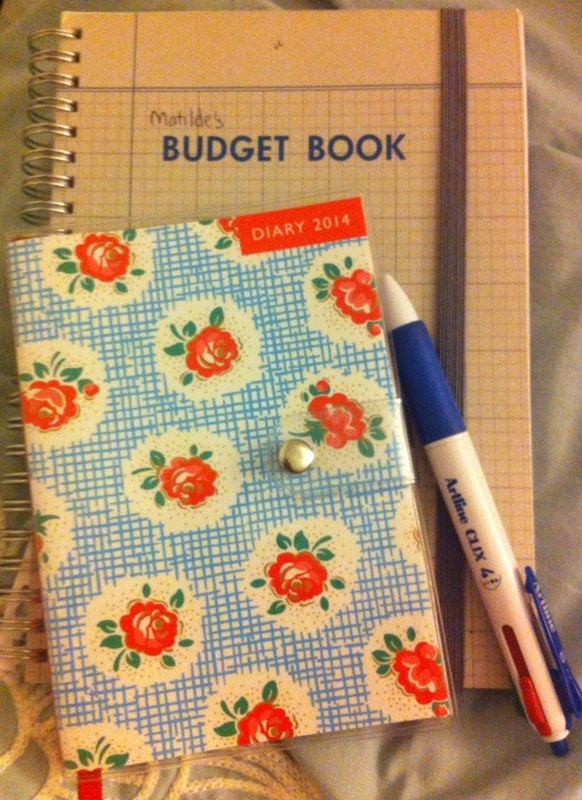 My budget book and diary. Part of my New Years resolution is to learn how to budget/save money/not be broke. I saw this at Kikki K a while ago and lost it up until a couple of weeks ago. My diary is by Cath Kidston. I bought this from a cute little shop up in Olinda, Dandenong Mountains. 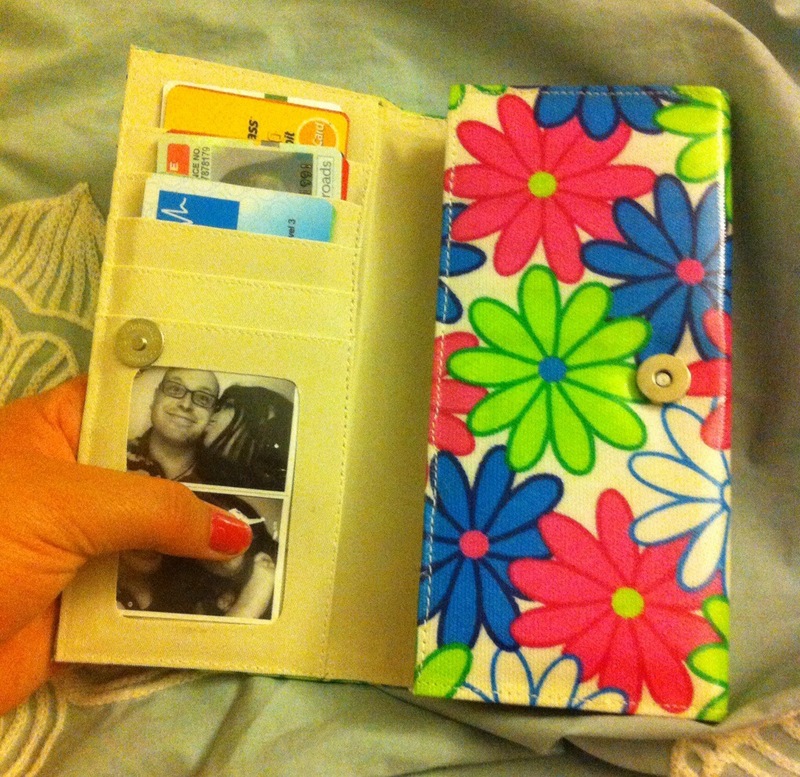 It is so sweet and the inside is coloured and floral and so damn adorable. 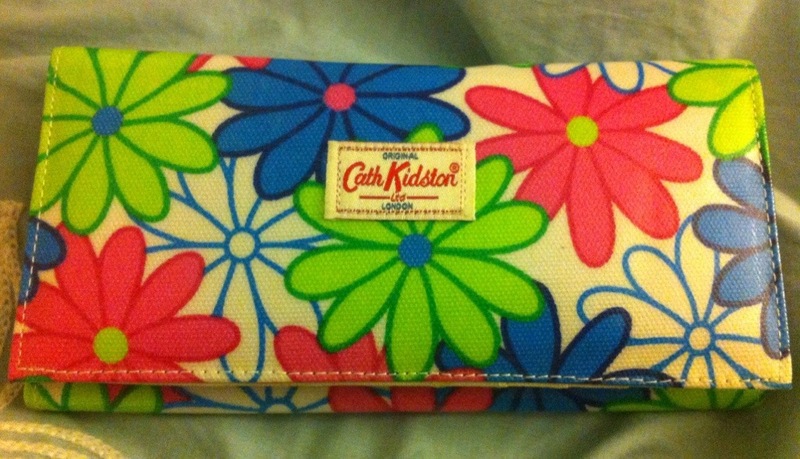 Cath Kidston is fast becoming a favourite designer of mine. This brings me on to my purse, not that it has money, but it has my Medicare card and Drivers License which are important? 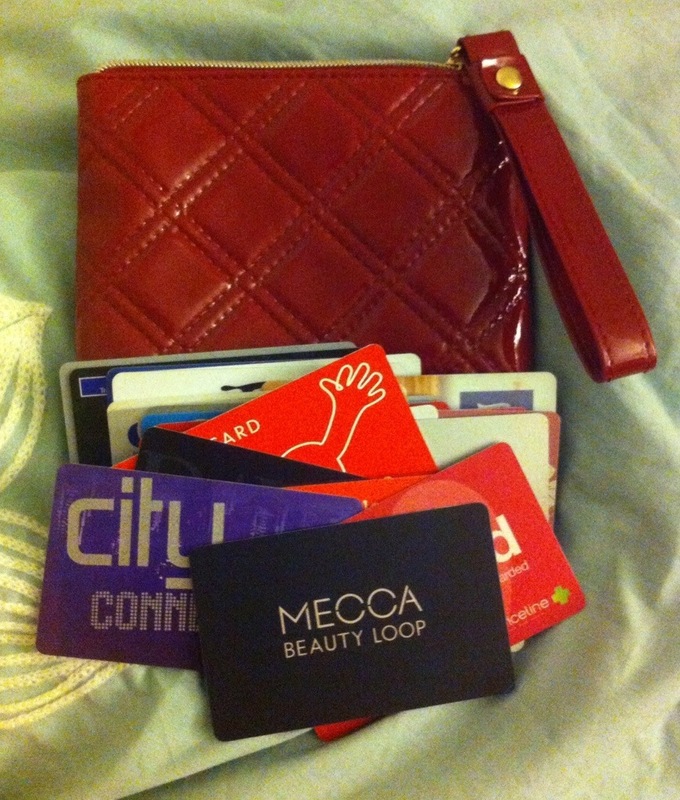 Not two months ago, I wasn’t really sure about this purse. 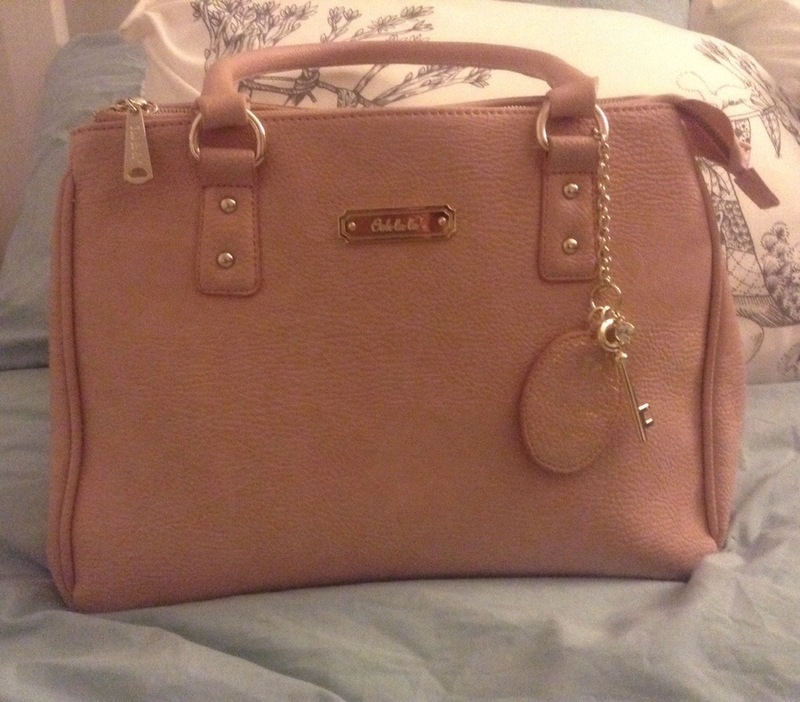 I got it as a present from my future-4-month-away-mother-in-law about a year ago, alongside a great bathroom bag. It really grew on me, I actually really love it. Downside is I can’t fit all my store cars, for some reason I have a lot of them. This is why I have converted my Estée Lauder mini mascara pouch into my store card holder! I promise you, I do not have OCD but when I’m on an organisation fix, I really get my fix on. 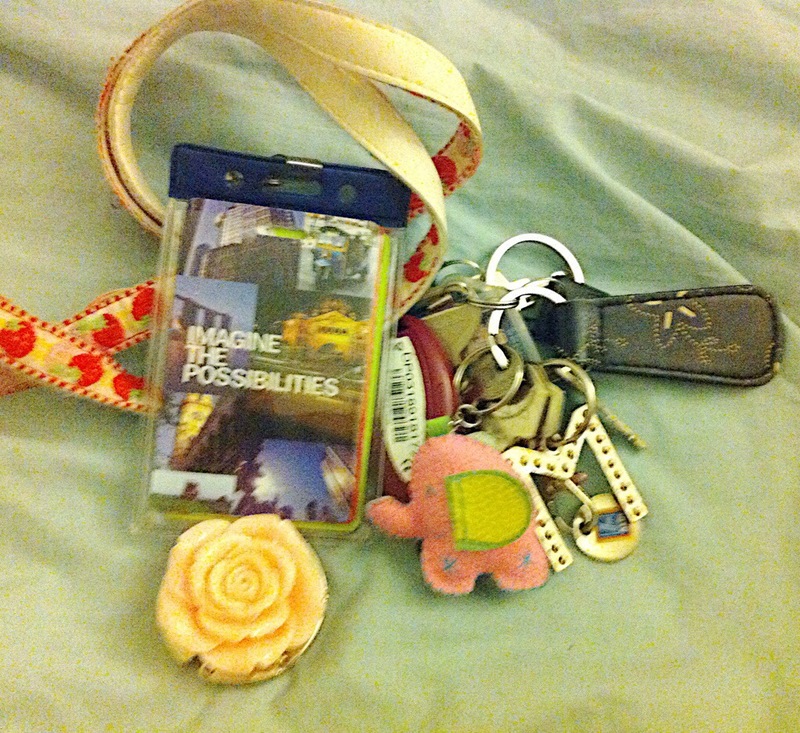 These are the last tidbits in my bag, most self explanatory. 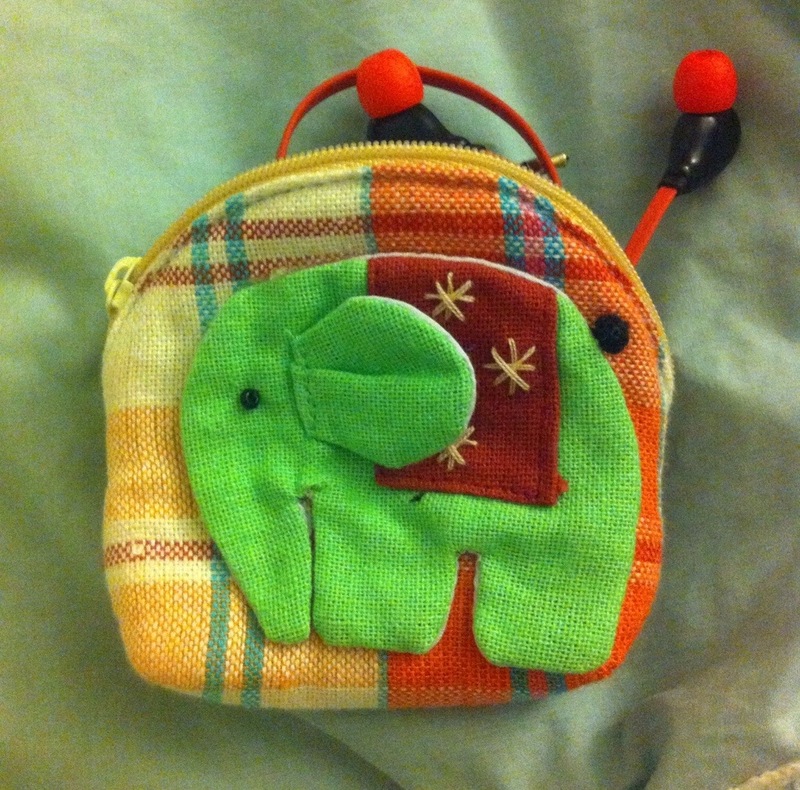 I should mention the little elephant coin purse (a gift from Thailand) is used for my earphones. Perfect size. 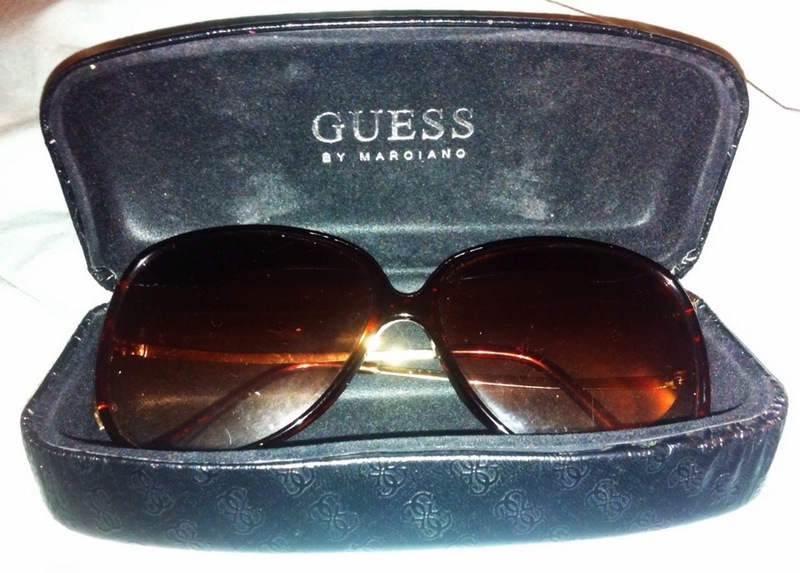 Also, the sunglasses are not Gucci, the Gucci pair are in my wardrobe. These were $20 and I love them a lot. So that is it. That’s my whole entire bag fillings. Sweet like pie. What’s in your bag? 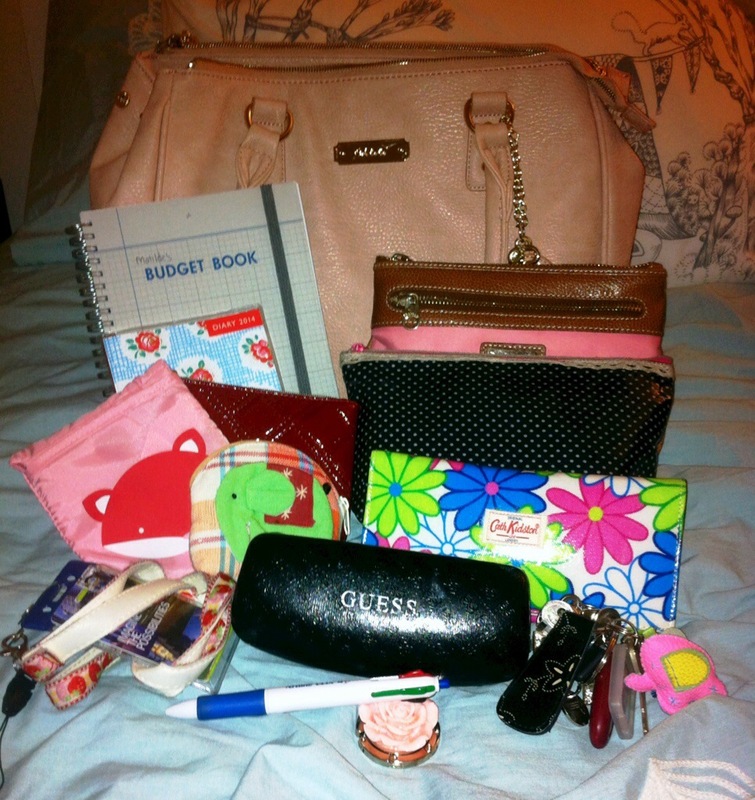 Tags: bag, budget, camp takota, cath kidston, christmas, daiso, diary, estee lauder, kikki k, lipgloss, lipstick, nyx, ooh la la, organisation, pink, wedding, what's in my bag? I'm a little bit odd, but that's okay. Enter your email address to follow Matilde's journey and receive notifications of new posts by email. I know.. I’m sorry.. But look! Pretty things! A little blog about myself, my relationship and my interests. Beauty, Fashion, Food and Me! Makeup and hair reviews and swatches. Nail art, make up and more!